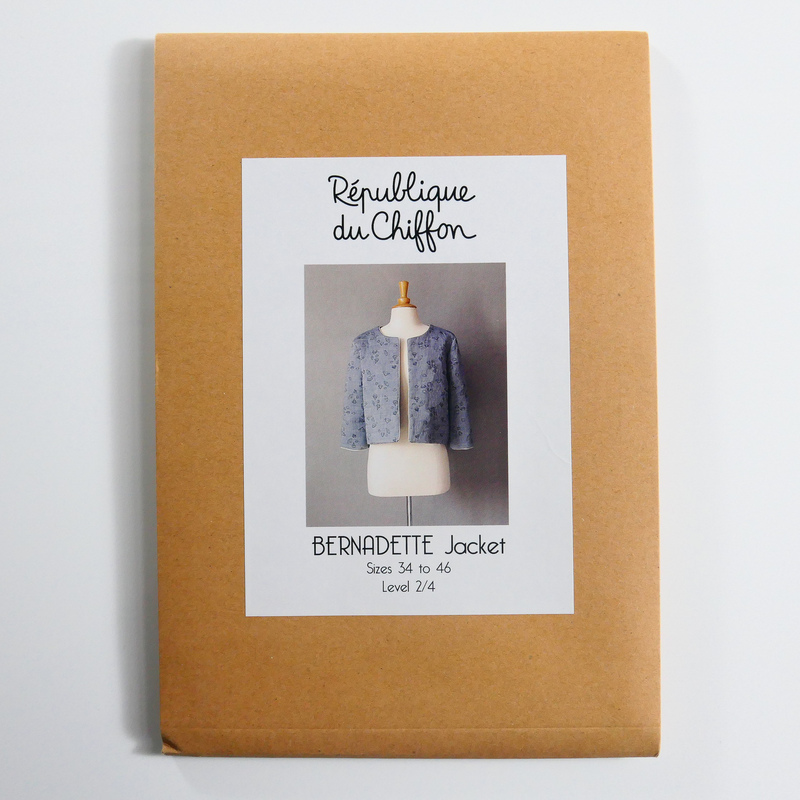 Sister Mintaka presents the Bernadette Jacket by République Du Chiffon. Bernadette is a cute little loose-fitting Chanel-style jacket. It features 3/4 sleeves and a rounded neckline and it is rather short. You could add piping along the openings and a zip closure at the front. 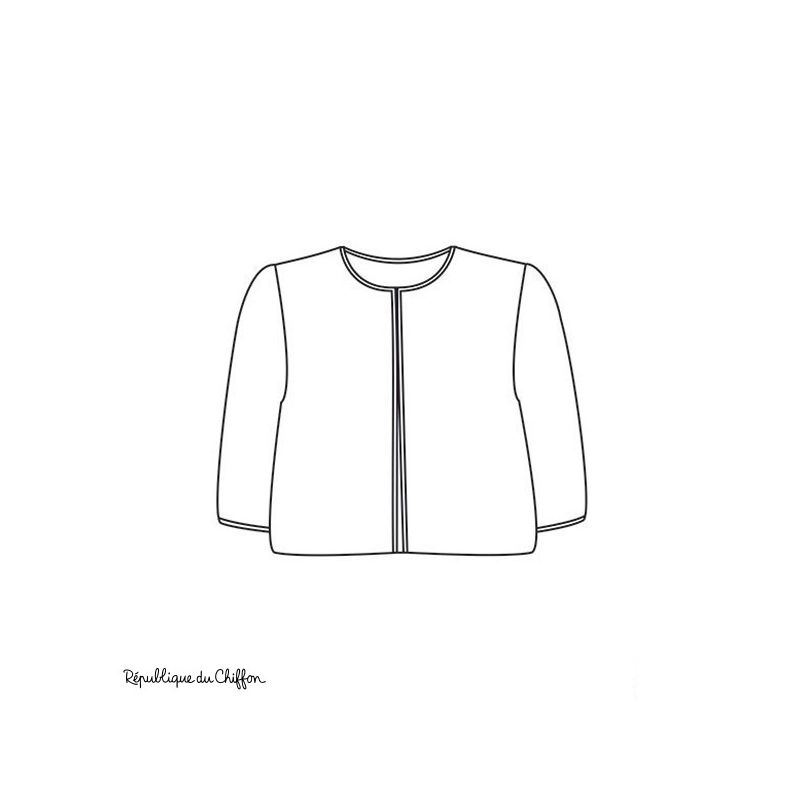 This Pattern has been drafted for woman of a 165cm height. 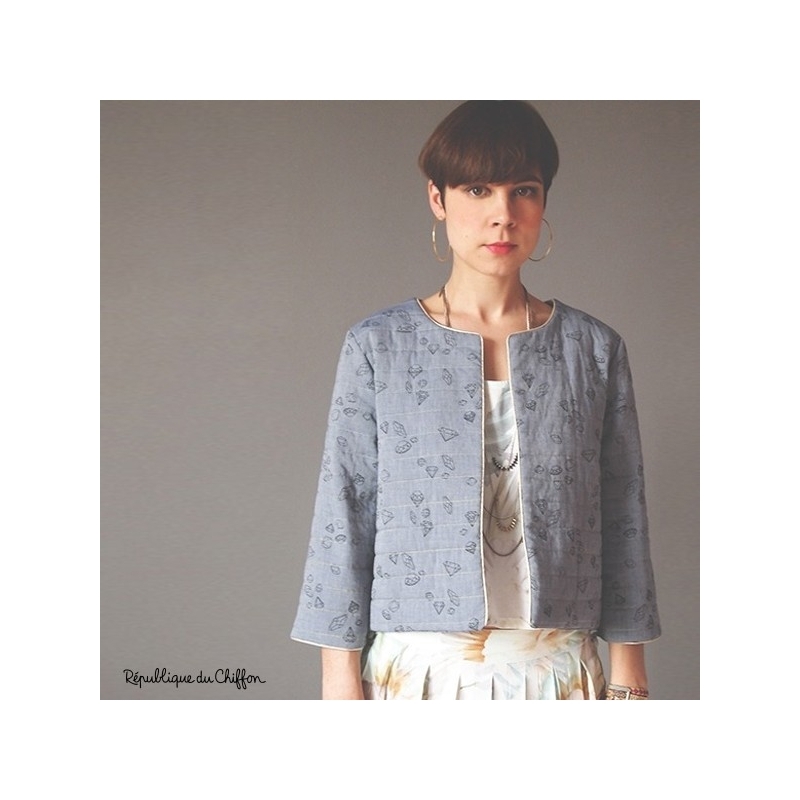 Main Fabric: Light to Medium weight woven fabrics such as light wool, cotton, light velvet, light denim, linen. Supplies: Universal Needle or Jeans Needle, regular thread, Optional (2.5m of piping, an open ended zip for the front.